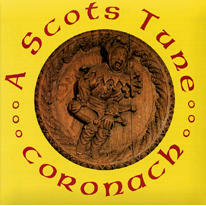 All the mystery and passion of Scotland's ancient musical heritage evoked by the voices and authentic instruments of the Highland consort, CORONACH. James Ross's authoritative and copiously illustrated account of music in Renaissance Scotland puts the choral music of Robert Carver and his contemporaries and the partsongs and instrumental music of the Stewart courts into their dramatic historical context. 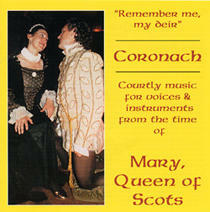 CORONACH's acclaimed cassette collection of Scottish & Irish Folk and Scottish Renaissance music. All the atmosphere of a live Highland folk session! A cassette of choral music from the Inverness Sang School and by the 16th century Scottish masters Robert Carver and David Peebles, music by John Blak and plainchant, in a reconstruction of a Scottish Mass of around 1546.
" Dramatic intensity, bite, wit and warmth piled on liberally. In short, brilliant!" 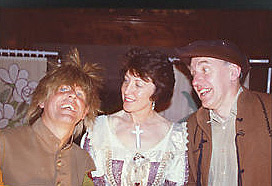 This acclaimed selection of the best scenes from Sir David Lindsay's Scottish Renaissance dramatic masterpiece is available for the first time on video, filmed by SCOTSEEN in Glasgow University's Historic Bute Hall. 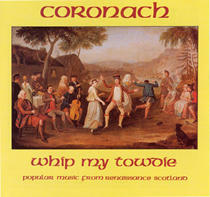 Thrill to the humiliation and restoration of Chastitie, cheer the defeat and hanging of the thrie Vycis and the triumph of Gude Counsall, swoon at Foly's seduction of the young Bessie and tap your toes to period music by CORONACH! [Cmf Music 001] A collection of ten Charming instrumental consort pieces in two, three and four parts and of moderate difficulty from this valuable but neglected manuscript source of Scottish instrumental music, including hitherto unpublished counters on plainchant, consorts on psalms, and a lively fantasia on L'Homme Arme. [Cmf Music 003] This Selection of music from a unique source of provincial Scottish faburden based on plainchant includes the processional 'Laudate pueri Dominum' and a setting of the dramatic processional sequence for palm Sunday. Moderately easy to sing and very effective in performance [Cmf Music 004] A spectacular declamatory motet in celebration of the Virgin Mary, possibly the work of the Renaissance Scottish master Robert Johnson.